Lincoln Park High School (LPHS) officials are promising “additional security precautions” after a threat to “shoot up” the school was found on a bathroom wall Wednesday morning. 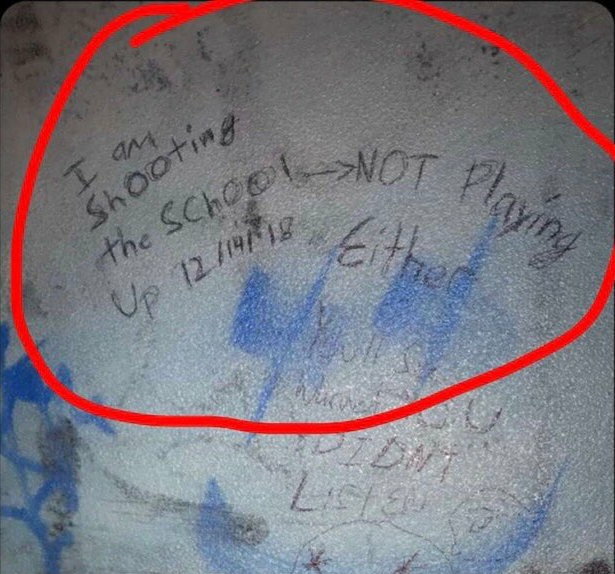 Snapchat images of the threat were sent to CWBChicago by a concerned adult. Area North detectives are investigating the handwritten threat. Perhaps as troubling to parents as the threat should be the numerous blue smudges that surround it on the bathroom wall. The blue streaks appear to be the remnants of gang graffiti, including pitchforks, that were never fully-removed.